I took in the Newport Folk Festival again this year. The weather was magnificent and there was plenty of good music to listen too. With camera in hand, I took in the sounds and ate "outdoor" food which, if you know me, is shocking! 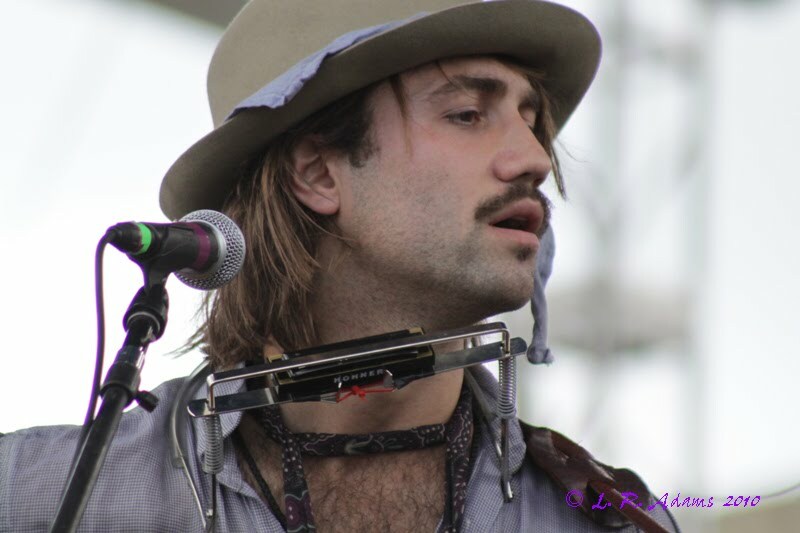 Check out photos from Saturday, July 31 ... the Fort Stage. 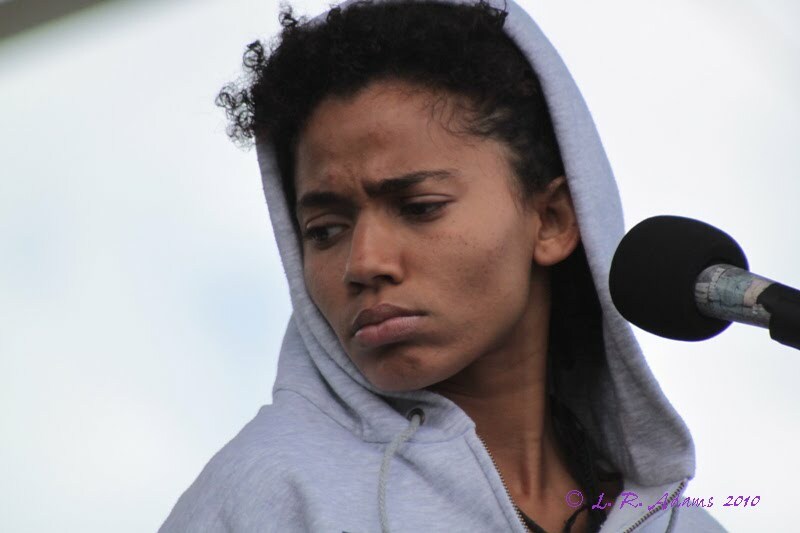 Nneka kicked off things on the Fort Stage. If you haven't had a chance to check her out you should. She made a variety of serious faces. I wasn't sure if she was feeling some sort of pain, metaphorically or literally and if we should be feeling and frowning the same way too. At any rate, she was good. More photos of Nneka's set, HERE. Up next, The Low Anthem. They played the Newport Folk Festival last year only on the much smaller Waterside Stage which has moved locations and received a name change. I've come to realize that on record, I'm not all that into the band. But, The Low Anthem are a good live band. They're one of those bands whose members rotate on instruments. More photos of The Low Anthem's set, HERE. Brandi Carlile took the stage next. I'd been hearing about how good she is. She was okay, but I wasn't as blown away by her as I expected to be based on the word of mouth that had filtered through my ears. 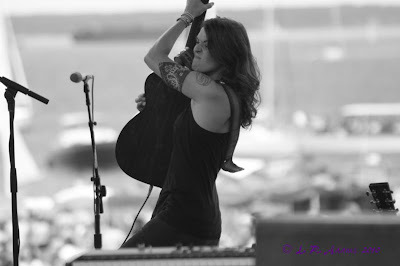 She covered The Beatles, "I've Just Seen A Face" and Johnny Cash, "Folsom Prison Blues" during her set. More photos of Carlile's set, HERE. Calexico took the stage next. Their sound was heavily tinged with the Mexican folk sound. It wasn't my thing but several people I spoke to, were seriously digging them. 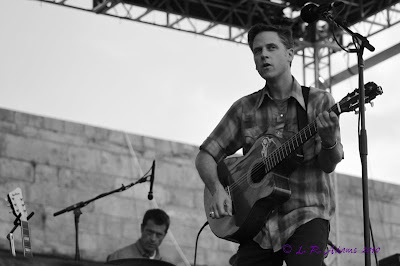 More photos of Calexico's set, HERE. 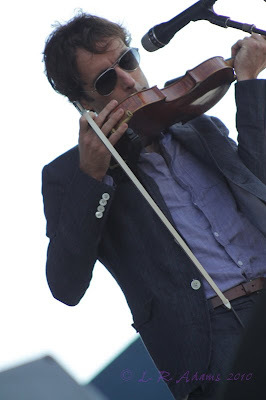 Crowd favorite Andrew Bird took the stage next. He whistles and fiddles. I'm sorry I just wasn't feeling him though I find him much more enjoyable live than I do on record. The audience loved him so I was clearly in the minority! More photos of Bird's set, HERE. 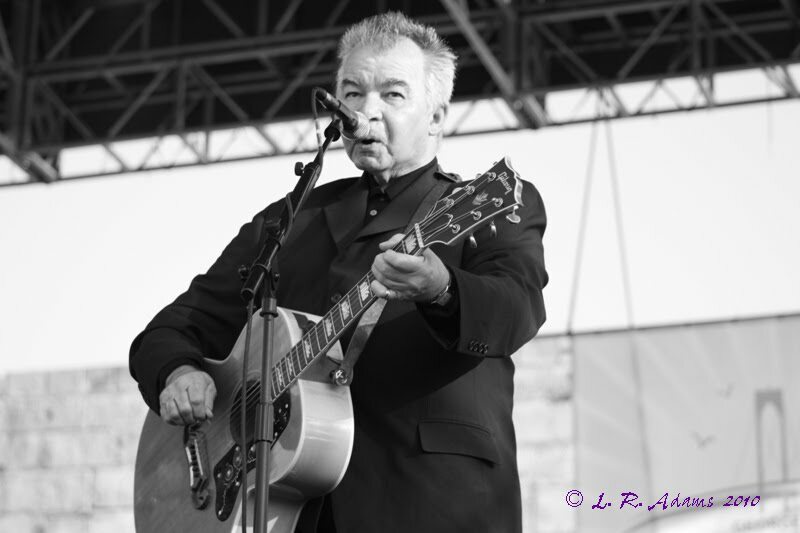 The headliner for the day, John Prine, put on a stellar set and was shown some major love by the audience. Jim James, who performed his own set earlier that day on another stage joined Prine. The highlight of his set for me was "Angel From Montgomery." Being the first time I've had the opportunity to see him perform, it was a treat to hear the man himself do the song. More photos of Prine's set, HERE. Video: Gilli Moon - "Days In November"